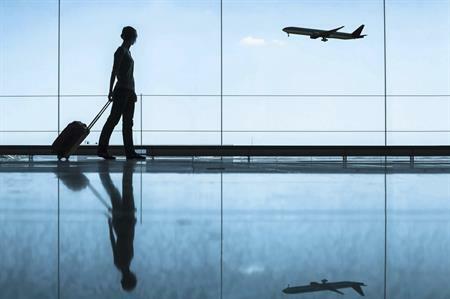 The slowdown of the Chinese economy, depressed oil prices, and the UK's impending departure from the EU are impacting business travel, according to American Express Global Business Travel. The Global Business Travel Forecast 2017 showed that airline fares will be kept in check by low fuel costs and strong competition while hotel prices will remain flat, which has been welocmed as good news for event planners with an already stretched budget. Brexit has caused outbound travel costs from the UK to increase temporarily, while flight prices are projected to be -3% on long-haul business flights and a -2% in short haul economy airfares. The long-term effects will be known once the UK government begins negotiations with the EU. China and India are driving growth in the Asia-Pacific region. Overcapacity is keeping airfares in check, with a 0.8% increase in China and a 1.5% increase in India in terms of international business flights. China’s growing middle class and India’s strengthening economy are also contributing to a strong increase in demand on the hotel market, that will largely be offset by similar increases in inventory, controlling rate increases to 1.5% in China and 3% in India. Fare decreases in North America due to overcapacity and fierce competition between legacy carriers and low-cost carriers on heavily travelled routes are projected at -3% on short-haul and -1.5% on long-haul routes. In Latin America, the stronger economic performance of Chile and Mexico may lead to fare increases of 1.5% and 2.3% on long-haul flights respectively. Hotel demand in Latin America remains low and rates are expected to decline slightly overall, including -3.5% in Brazil. Commenting on the news that the cost of business travel may, at worst, endure only modest increases, vice president and head of global business Consulting at American Express Global Business Travel (GBT), Rodolfo Elizondo, said: "Travel managers should focus on the things they can control, like demand management, compliance and traveller satisfaction to reduce risk and increase savings."